The Astria brand’s new Georgian™ wood-burning fireplace features a large viewing area and makes a perfect focal point for any room. It is firebrick-lined, featuring a patented Mosaic Masonry™ technology. 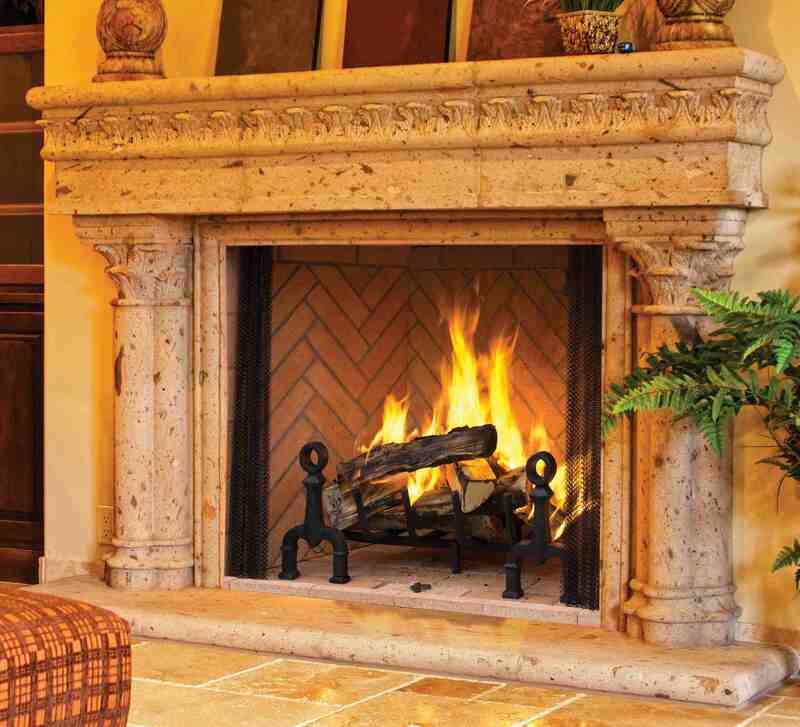 As a result, the Georgian offers the real look of a site-built masonry fireplace. Available in 36-inch, 42-inch and 50-inch models, this wood-burning fireplace has multiple interior options, such as Red Herringbone, Ivory Herringbone, Red Stacked Split, Cappuccino Stacked, Standard Grey Herringbone, Rust Herringbone, Creamer Stacked, and more. Numerous fireplace door finish options are available, including Black, Brushed Brass and Platinum. The combination of style choices enables the Georgian to be customized to a homeowner’s preferred taste. Whether customers are looking for a traditional or contemporary wood-burning fireplace, this product has the ability to transform unadorned living spaces into cozy retreats. The Georgian is a fully-insulated fireplace, ensuring trouble-free operation in colder climates. It has a durable powder-coat finish which makes the fireplace scratch-resistant with carefree handling. This wood-burning fireplace also comes with a standard cast iron grate with andirons, a tight fitting damper and mesh fire screens. The Astria brand Georgian features Innovative Hearth Products’ 12DM double-wall wood-burning chimney. To safeguard the Georgian’s longevity, it is backed by a 20-year limited warranty. Retailers interested in learning more about Astria’s Georgian wood-burning fireplace can contact Innovative Hearth Products’ directly at www.astria.us.com. For additional company information, visit www.ihp.us.com.